Findings from the EdgeProp-Knight Frank Homebuyers’ Sentiment Survey conducted in 4Q2018 revealed that higher Additional Buyer’s Stamp Duty (ABSD) rates from last year’s property cooling measures are the main hurdle facing homebuyers in 2019. This latest round of property cooling measures, announced just a day before they took effect, came as a surprise, arriving just as property developers have replenished their land banks throughout 2017 and into the first half of 2018 in anticipation of blockbuster sales. The cooling measures, intended to curb the exuberance in the housing market, introduced higher ABSD rates and tighter loan-to-value (LTV) limits. 9.1% y-o-y the same year. Demand for private residential property also saw a strong recovery, as transaction volumes continued to rise. It was also around this time that developers heightened a growing collective sale fever. Based on URA data, the year 2017 saw 29 en bloc transactions totalling $7.31 billion, compared to $1.2 billion in 2016 and $380 million in 2015. The fever continued unabated into 1H2018, which saw 31 en bloc deals totalling nearly $8.85 billion. 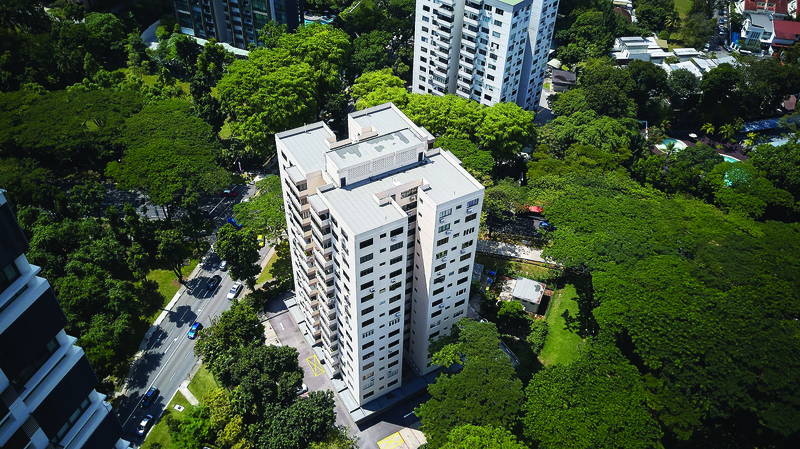 Notably, the collective sale of Park House in June 2018 hit a record-high price of $2,910 psf per plot ratio (ppr) when it was sold by Hong Kong-listed Shun Tak Holdings at $375.5 million. It smashed the record set by the former Hampton Court for $155 million ($2,526 psf ppr) in January 2013, where the buyer was Hong Kong-listed British conglomerate Swire Group’s Swire Properties. Increased buying demand, coupled with the flurry of en bloc activities, resulted in a spike in property prices, which quickly prompted the government intervention to cool the red-hot residential market.